Kate Black has been an authority on ethical fashion and eco-living for nearly a decade now, and she’s bringing her expertise to the public in it’s most accessible way to date. 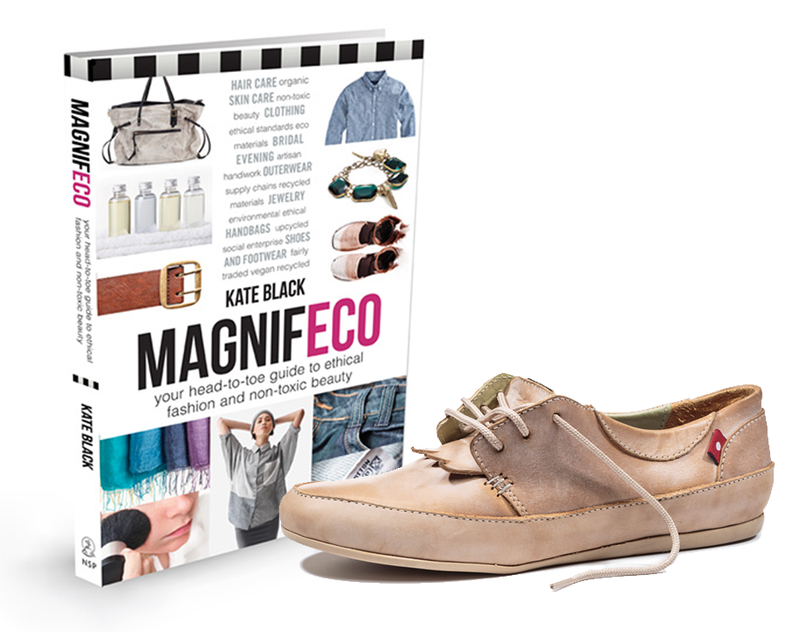 Her recent book “Magnifeco: Your Head-To-Toe Guide to Ethical Fashion and Non-toxic Beauty” is the perfect guide for the ethical consumer who strives to look and be their very best. 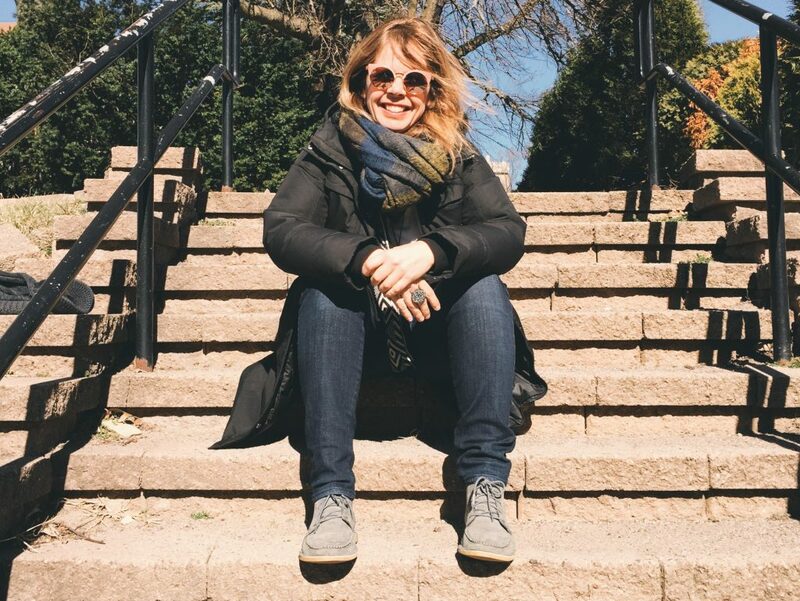 We scored some time in her busy schedule to ask her about her journey and what inspired her. You’ve achieved so much within the ethical fashion sphere, what sparked your interest in this industry? After years of working in digital publishing and marketing helping brands tell their stories (at the Globe and Mail, The Toronto Star and a digital ad agency), when I moved to Tokyo in 2007 and started my own media company, I knew I was going to start with a blog. And I chose ethical fashion because Vanity Fair had been doing their green issues, and I thought ethical fashion would have quicker market penetration if shoppers could find it more easily. Fashioned after “Daily Candy’, at the beginning Magnifeco was a ‘daily eco-fashion find’. We still have the blog, a newsletter, a weekly podcast (Magnifeco Radio – find it on iTunes) and now monthly meet-up events called EcoSessions that feature conversations in sustainability. Your Ecosessions ® event series seems to emphasize community engagement as a means of encouraging positive change. How does that play out in practice? EcoSessions happen once a month in 6 cities: Toronto, Montreal, London, Berlin, Los Angeles and New York. We gather leaders in the latest in ethical fashion, clean beauty and sustainable living to have conversations that debunk some myths and share some of the secret sauce about why so many businesses are changing to be better. The community aspect is to make it fun and relaxed; attendees can have a drink, listen to change makers tell their stories, ask questions, try products, etc. Once people make the switch with food, choosing only organic milk for example, they don’t usually go back. Which is great – it shows that people get what they put in their bodies affects their health and the health of the planet. But we’re not there yet when it comes to consumer goods: clothing, personal care products, footwear, etc. Not everyone gets that the things we put on our bodies also affect our health and the planet. So EcoSessions are aimed give the attendees the tools to make more sustainable choices for themselves and their families. We have active Facebook groups for each of the cities and are working on expanding to more cities, to grow and support our online and offline community. How has the ethical fashion industry evolved since you first became a part of it? In 2008, when Magnifeco.com was just launching, it was difficult to find products or brands for our daily feature, sometimes. There just weren’t enough choices. But now that’s changed. Brands new and old are realizing that they need to change and offering better products. Plus, brands like Patagonia and NUDIE jeans are upfront about why their products are different – which makes educating and advocating for conscious consumerism easier. In what ways can the average consumer improve their environmental and social impact while shopping? In my book (Magnifeco your Head-to-Toe Guide to Ethical Fashion and Nontoxic Beauty) I came up with an acronym to help shoppers buy better. I wanted something easy to remember, and that acknowledged that most of us, at our core, are “value” conscious. Fast-fashion chains that offer really cheap clothes say their “bottom line price” policy is because we (the customers) are price-conscious and demand low prices. True, we do want lower prices, but the trade-off is when we pay less, we also get less: less transparency, less accountability, fewer ethics and lower quality. We want low prices, but not at all costs. What we are really seeking is value. V.A.L.U.E. Each letter correlates to an ethic that both helps decrease some of the burden on the industry and help you buy better. When it comes time to shop, the questions to ask are: Does it already exist (Vintage)? Does it support craft, empower women or alleviate poverty (Artisan)? Does it serve my community (Local)? Does it save something from the landfill (Upcycled)? Lastly, does it support human, animal or environmental rights (Ethical)? When researching for your book were there any surprises in what you learned? I say at the beginning of the book ‘proceed with caution’ because you can ‘un’know. And that’s speaking from experience. There were many things I had suspected, but didn’t realize how ‘bad’ they were. I radically changed how I view three industries and became more vigilant in my shopping as a result. First, in the beauty/personal care industry, learning the concept of ‘body burden’ and that chemicals (from those products) get in us and stay in us forever. In footwear, learning about the state of the billion dollar leather industry in Bangladesh that is so toxic the average life expectancy for the workers is 50 years old. And lastly in jewellery, learning how many children are still involved in the supply chain – especially for mining and gem cutting. It made me realize that now, more than ever – we need to know what things are made of and who made them. What new trends do you foresee in the ethical fashion industry for 2017? I‘m excited about the amount of innovation on the horizon for both the apparel and footwear industry. Green chemistry, innovative textiles, 3D printing – the industry finally has attracted some of the brightest minds and investment dollars to focus on being better. And I love how many brands are being more conscious about the supply chain and either getting Fair Trade Certified, like you guys, or B Corp certified. I love respected and recognizable marks that make buying better easier.